IONIA, Mich (WLNS) - Spring into action with the Ionia County Health Department which issued a statement to keep families safe from Salmonella. The statement was a reminder that many different types of animals, including small mammals such as mice, rabbits, and rats, backyard birds such chickens, ducks, and turkeys, and various livestock animals including cows and pigs, can potentially carry bacteria such as Salmonella and E. coli. People can catch these diseases from animals, and unfortunately these diseases can cause people to become seriously ill.
Health experts at the Michigan Department of Health and Human Services issued a warning earlier this month about the potential for animals to spread the Salmonella bacteria to humans. Certain groups have a greater chance of illness from handling live poultry or contact with areas where the birds live. Children younger than 5 years old, older adults or people with weak immune systems should not handle or touch live poultry because they are more likely to become severely ill. Don’t let children younger than 5 years, adults older than 65 or people with weakened immune systems from conditions such as cancer treatment, HIV/AIDS or organ transplants, handle or touch chicks, ducklings or other live poultry. 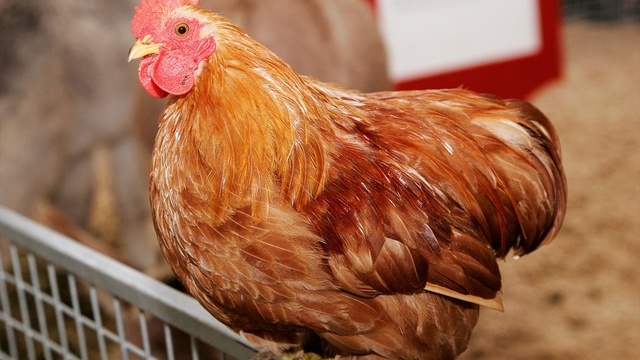 In 2018, 334 people from 47 states were sickened by Salmonella after having contact with live poultry in backyard flocks, including 18 people from Michigan. Of the 334 illnesses, 21 percent were children younger than 5 years. A few tips to stay safe is to wash hands thoroughly with soap if touching a bird or anything in their environment. Adults should supervise hand washing for young children. Until washing hands with soap is available, use hand sanitizer to help, but hand sanitizer is not a substitute for proper hand washing. Do not keep live poultry inside the house where people live, eat or sleep. In fact, keep live poultry away from areas where food or drink is prepared, served or stored, such as kitchens or outdoor patios. Set aside a pair of shoes to wear while caring for poultry and keep those shoes outside the home. Always clean equipment outdoors and frequently clean all equipment such as cages, feed, water containers and other materials associated with raising or caring for poultry. Finally, do not kiss or snuggle birds, touch your mouth or eat or drink around live poultry.